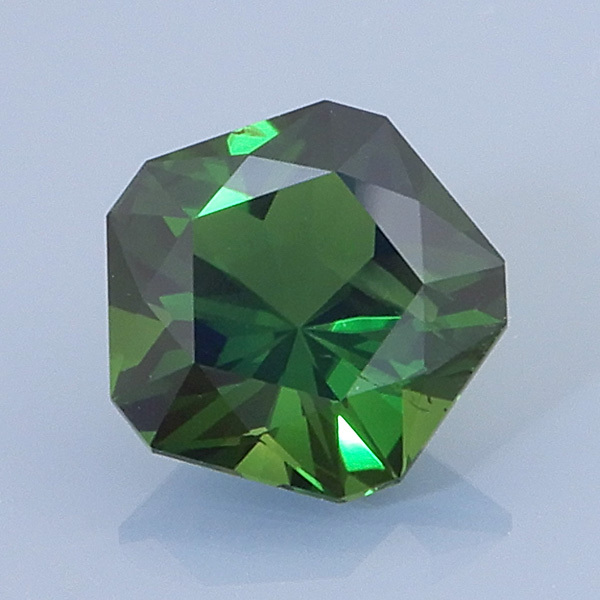 COMMENTS: A genuine chrome tourmaline that displays ruby red flashes when viewed using a chelsea filter. If this isn't the perfect green color for this material, it's extremely close. Flaws are faint and very hard to see without magnification.